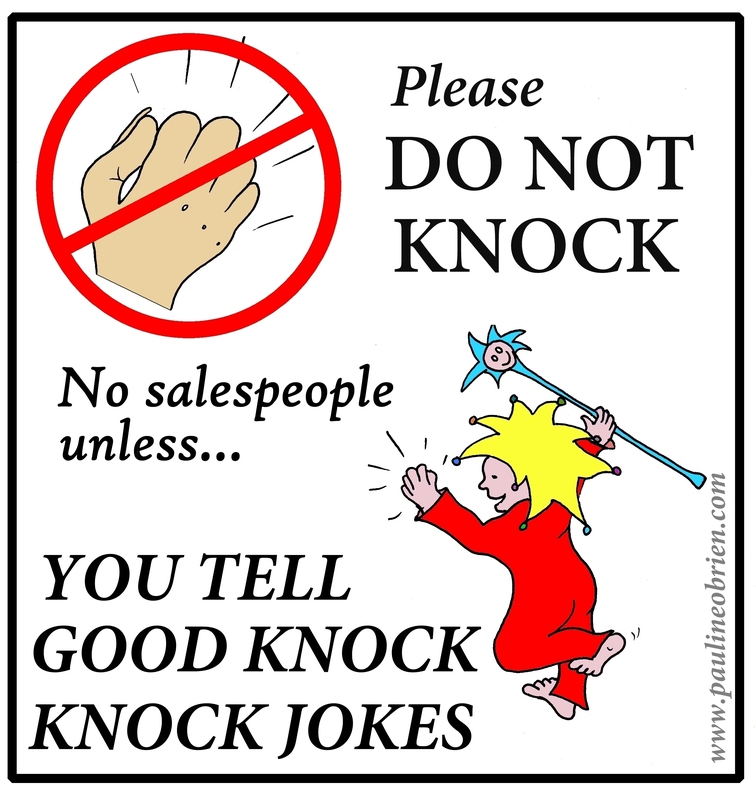 I wanted to stop salespeople knocking on my door but I didn’t want to be negative. I certainly didn’t want to be unkind, just not that kind of person, after all sales people are only doing their job. I know how they feel, when I was a student I was one of those door knockers. So this sticker is designed to make everyone smile, while still letting the door knockers know you are a kind, uninterested person with a sense of humour. Buy it for your door here for $2.30 per sticker plus postage.